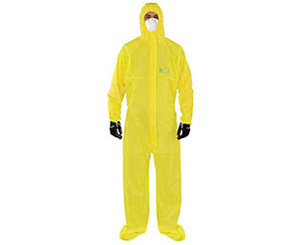 This coverall features bound seams & a two way front zipper with resealable storm flap cover. Constructed of a polyethylene (PE) barriers coating with a Bi-Component nonwoven inner layer which combines a lightweight feel with maximum durability. 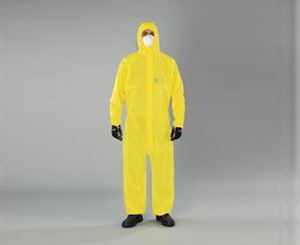 Excellent barrier to many harmful chemicals. 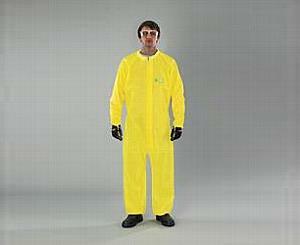 Highly visible bright yellow color for improved worker safety. Anti-static tested. Great for applications such as environmental clean up, sewage purification installations, industrial and chemical manufacturing.